We are excited to present ADVENTURE MEDICAL KITS as our newest sponsor for FUEGO Y AGUA NICARAGUA 2016! 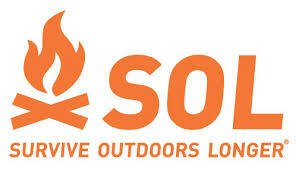 In addition to providing Mountain Medic Kits & other Medical Equipment for our Aid Stations, ADVENTURE MEDICAL KITS is also sponsoring us with their SOL (Survive Outdoors Longer) products and will be giving Watertight/Ultralight Medical Kits and Survival Bivvy's for our Staff and Top Finishers. We love a sponsorship that fits just right, and we have already been using and recommending Adventure Medical Kits for years! We recommend the .5 or .7 Watertight/Ultralight Kit for both SURVIVAL RUN & 50KM/100KM ULTRA participants. We also recommend their SOL Emergency Survival Blanket over the standard "Space Blanket," It makes a big difference when you need it! Read this article on the difference between a Space Blanket and a Survival Blanket. Stay tuned for a discount for all race participants!